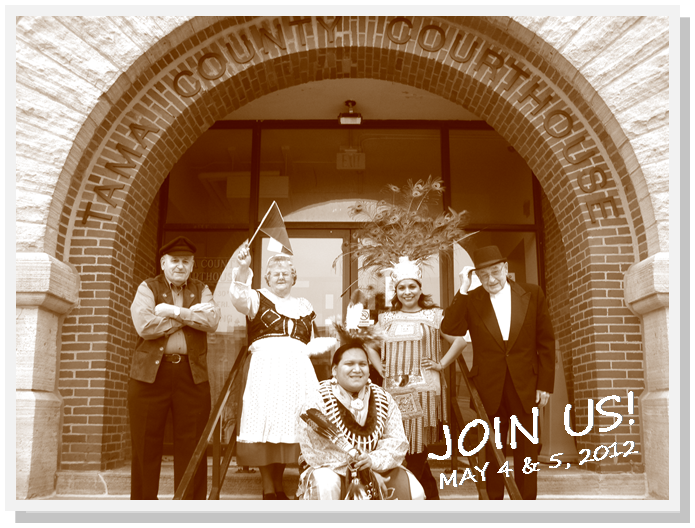 Tama County is one of the most culturally diverse communities in the State of Iowa. 2010 Census data suggests that this diversity is getting even stronger. One of the challenges and opportunities a community like this faces is different cultures learning and respecting differences while celebrating and welcoming others on the common ground in which a diversity of approaches can benefit the greater community. In 2011 a diverse group from various walks of life started the dialogue and put five projects on the table through which new relationships and networks can be built. Remind me – what are the EDIES. Over the past few months a splendidly diverse group of leaders from all over Tama County has been coming together to form the Tama County Diversity Alliance to learn and celebrate the differences of uniqueness, and to build on Tama County’s diversity as a community asset. The thought of a diversity festival occurred to me while reading about a similar event in Oklahoma and I began to think how diverse Tama County has become and I quickly called the Economic Development Director, Lindi Roelofse, and ran the diversity festival idea past her and asked if something like this has ever happened in the history of Tama County and what Tama County has done to recognize diversity growth or if Tama County even realizes how diverse Tama County is. It has been shown that the Tama County Economic Development Commission is an asset for networking. My tribal operations team was able to meet a wide diverse number of individuals like: Tracy Brady, Becca Chyma, Ryan Currens, Micki Ferris, Ann Graham, Victoria Hamilton, Midge Horton, Jamie Huntley, Alan Kline, Joyce Legg, Dwayne Luze, Yvonne Mallory, Kristi Martin, Kristina Martinez, Sandy McAntire, Kerri Nelson, Erica Podhajsky, Donna Sampson, Mario Sanchez, Ivy Sievers, Ruth Sjostrom, Jim Tekippe, Manuel Villagrana, Julie Vokoun, and Tony Wilson. The greatest challenge is identifying a time that works best for everyone. Everyone has work commitments to timing is very valuable. The meeting occurs in the afternoons and sometimes in the early evening to ensure everyone can meet one time or another. The best advice I can give is to be flexible, secure the necessary tools, plan, and build a knowledgeable team ready to act. Mark your calendars for the educational day celebrating diversity on May 4 and the Diversity Festival on May 5. Locations: TBD. For more information on the Diversity Festival go to its website. Pictured (front) Daniel Youngbear; (back row, left to right) Hans Moeller, Shirley Kubik, Ana Huerta, Evan Wilson. ← Wellness Update: Tama County is taking on the 100 day challenge! Are you in?